​God called David and Susie Lindner to the Gardenland/Northgate neighborhood of Sacramento over ten years ago to start and shepherd a multi-ethnic community church, Bridge of Life. Their background in cross-cultural youth ministry with Young Life in Vienna, Austria, and Kalamazoo, Michigan, has served them well in their multicultural community development work. Both graduated from Fuller Seminary in 2000. Susie is a licensed marriage and family therapist. Their three great kids enjoy sports, missions, and acting! ​Hunter and Rebekah are a cross-cultural couple--Hunter grew up in LA County and Rebekah grew up in India (Yavatmal, MH and New Delhi). 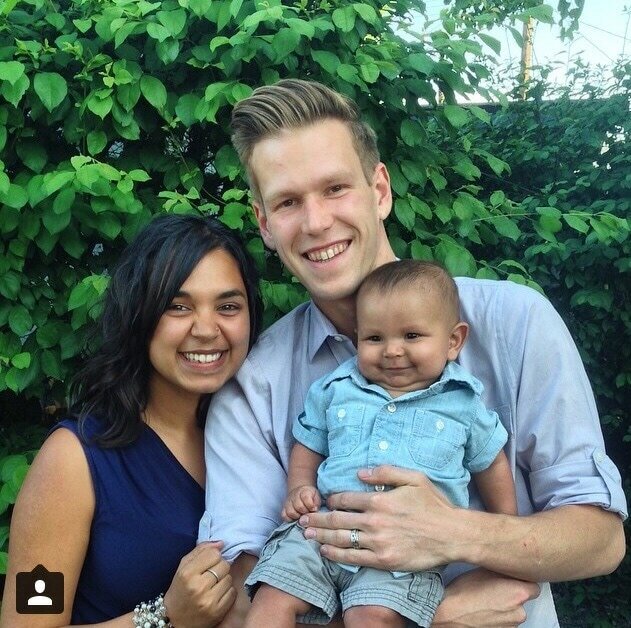 They met while on outreach in India when they were 15 and married 5 years later in June 2012. Both graduated from Biola University in 2014 (Hunter received his BA in Cinema and Media Arts and Rebekah her BA in Communication Studies). They live, work and serve in Fullerton and Brea, CA, along with their young son Malachi Vivek, and own a marketing agency called We Speak Youth. They both love coffee, reading, the California beaches and traveling. Ultimately, their dream is to continue learning about and practicing living out the Kingdom of God through their marriage, relationships, and daily lives. One of their many passions is to see young couples equipped with the tools taught in TSM so they can communicate well and love each other selflessly in order to live out God’s calling on their lives together. ​Clint and Amanda have been married since 1999 and reside in Orange County, California. From the very beginning, they have felt called to minister to the people in their community and have been involved in youth and marriage ministries for over 15 years. They are the parents of four boys and enjoy homeschooling, nature study, sports and taking road trips together. Clint works as director of sustainability for an investment company and Amanda teaches part-time at a charter school. They met Dave and Mary at their church, Redeemer Presbyterian, and were able to participate in TSM's pilot weekend in Newport Beach in 2011. They have been involved in leading follow-up groups ever since and also help encourage and equip other facilitators to prepare and lead groups. They are excited to see the Lord do His redemptive work in so many hearts and lives, restore marriages, create vision, and truly make all things new. ​Chris and Lindsay jumped right into marriage ministry after their wedding in 2006. Witnessing the struggles of couples in their small group to uphold their marriage vows, Chris and Lindsay learned the importance early of having an intentional marriage and a strong community to help them do so. They have become proactive in strengthening their own relationship as well as those around them. Chris' financial planning background and analytical mind pairs well with Lindsay's teaching and writing background allowing them to empathize and communicate well with couples in need of encouragement and strategy. They led a Young Married group at their church, and Lindsay writes for the digital marriage resources Start Marriage Right and GrowthTrac and has published a book, The Purposed Bride, to equip Christian brides in their engagement. Additionally, Chris and Lindsay have attended, organized and led marriage retreats of their own. With their thumb on the pulse of marriage ministry, The Significant Marriage was the most meaningful marriage resource they had encountered, so they knew they wanted to get on board. Outside of marriage ministry, the Halls love to travel around the world and to spend time with their daughter. ​Bob and Robyn have been good friends of Mary and Dave for many years. They serve on the board of Sunshine Kids International that was started by the Gothis in order to support St. Catherine’s School for street children in Mumbai. They participate with the children at St Catherine's as well as coordinate The Significant Marriage in the Riverside, CA, area. ​Bob and Robyn have a strong belief that God has created the marriage relationship to be not only amazing, but the center of every home. Their hope is to positively impact marriages in order to empower couples to live a life of significance. They firmly believe that when a couple has a strong healthy marriage, you create healthy families. When you have healthy families you will have a healthy world, one couple at a time. ​Steve and Gwynne met at a singles activity through their church. They were both in their mid-30’s and had never been married! Gwynne was waiting for God to send the right man into her life, and Steve was a confirmed bachelor! However, after dating 14 months, Steve was (finally) convinced it was time to give up the single life! On November 7, 1987, they married and then God blessed them with a baby girl, Katie, born in 1990, and then Greg, born in 1993. They home schooled Greg through 6th grade and Katie all the way through high school. Katie and Greg have brought much joy into the lives of the Watson's. They are grateful to God that at 24 and 21, they are wonderful, successful young adults and committed Christians! Like most marriages, there were some rough spots, and they attended various marriage retreats and seminars in order to enhance their marriage. The first time, however, they attended The Significant Marriage the Watson's knew they wanted to help out in any way needed as they were so impressed with Dave and Mary as well as the quality of the material taught and how many aspects of marriage the seminar covered. Steve and Gwynne live in California and are involved in teaching Bible and encouraging marriages at their church. Steve is currently working on a second theological degree. God has also opened doors of ministry in Malawi, Africa, and they visit there three to four weeks each spring, teaching on Bible and marriage with a tribal chief’s ministry and in a seminary. Ryan and Amy’s involvement in marriage ministry began before they were even married! After becoming engaged in 2009, Dave and Mary began mentoring the Wormalds, which eventually led them to partner together to form the first marriage ministry at their church specifically for young couples. Even prior to their engagement, Ryan and had a hearty appetite for the study of marriages, consuming a number of marriage books as well as pestering more mature married couples with pertinent questions. Perhaps it is her love for teaching second graders, or her infectious personality, but Amy’s love of learning and teaching is contagious. She will always leave you with a smile and a new appreciation for the good in life! On the other hand, Ryan who is a broadcast engineer operates more like an absent-minded professor, reading an eclectic mix of books at any given time ranging from business, to marriage, to theology. Together their separate interests and gifts create quite the team enabling them to organize TSM weekends in Orange County, write the TSM newsletter, as well as teach whenever needed. Considering the current statistics on divorce, Ryan and Amy are committed to protecting and growing their marriage and seek others with the same passion. Their desire to be both life learners and educators drives them to share insights and knowledge in hope of encouraging other marriages. Thus, they are committed to the tools provided by TSM. Upon any given night of the week, one might find the Wormald’s hosting a game night in their Orange County home, enjoying a cultural event in the city, or simply enjoying the local shops and eating ice cream while on a date night. Donna and Norm met their senior year in High School and dated four years prior to getting married. Through 40+ years of marriage, they have experienced many challenges including the loss of their firstborn son who died from cancer at only 2 1/2 years old. However, this began their journey of complete commitment to one another. God gave them another son and daughter who are now both married and have blessed Norm and Donna with 7 grandchildren. Norm retired from the US Coast Guard Reserve in 1997 and then from John Deere Co. in 2005. Donna ended her management career with Panera Bread in November 2013. Originally from Syracuse, NY, the families presently all reside in Nashville, TN. Their relationship with Dave Gothi began in 1987 when he moved into their __(MA? )_ neighborhood. They watched with excitement as the Lord brought Mary into his life and the story of their marriage that followed which led to the development of The Significant Marriage. The Gothis have served as mentors to Norm and Donna, providing them with further tools and resources to not only strengthen their own marriage but the marriages of couples around them. The Auffhammers have hosted two TSM weekends in Nashville and coach couples as a result of their passion to help individuals realize God’s purpose for their union. Lindy met Mary in 1986 while working for a missionary family in Vienna, Austria. She returned to finish college at Auburn University where she met her future husband David. After graduating, she returned to Vienna to work on Young Life staff then back to the US and married David in 1991. They now have 4 kids--Davis, who lives and works in San Diego; Katie, a student at Northeastern; Ashley, at Auburn University; and their youngest Harrison, a high school junior. Their family has moved numerous times throughout the US. In 2010, David’s job took the family to Germany. While living in Frankfurt, they attended a TSM weekend and knew it was a ministry they wanted to establish in the international community. In 2013 and 2014, they hosted weekend retreats with Mary and Dave. As a result, it has since expanded to Paris, Berlin, Vienna, Riga and other cities throughout Europe. In 2014, David and Lindy returned to the US. Currently, David works for a start-up biotech in Dallas and Lindy is building her career in hopes that they can eventually 'retire' and work with TSM full-time. They are the first to admit marriage is challenging! But they love that TSM creates a 'plan' to address these challenges and inspires couples to dream and pursue a purpose beyond their individual pursuits. They have since hosted weekends in the Dallas/Ft. Worth area and look forward to training other couples to lead TSM throughout Texas and beyond! Ben and Ashlee have been married since July 2008 and reside in Roanoke, Virginia. Both from Northern Indiana, they met while attending Manchester College also in Indiana. While experiencing many challenges during their first couple of years of marriage, Ben and Ashlee have worked to make their marriage one that is pleasing to God and one that is Significant. They enjoy being able to meet with couples and share their passion for a strong and healthy marriage. After attending The Significant Marriage Seminar, their passion grew to engage couples to grow and expand their marriages into more meaningful and deeper relationships. They admit marriage is tough but with a God centered plan, marriages can be worthwhile and rewarding. They enjoy adventuring together in Roanoke, Virginia! Hiking and exploring the beautiful mountains in the area have grown their love for the outdoors! Ben enjoys football while Ashlee enjoys running. They have a daughter, Kennedy, a high school senior. They also have 2 dogs, Barkley and Stella. Also, one pesky overweight cat, Gus. As the daughter of a Marine Corps father, Kylee spent much her childhood years moving around the country. During one of these moves, she lived in Texas where she met her future husband Josh at church. Kylee was his first childhood crush, until she moved away again. However, as God’s timing is always perfect, they reconnected many moves and years later! On August 5th, 2012, they married and lived in Dallas until Josh accepted a job that required them to move to Rhode Island, The Ocean State, in March of 2014. Later that year, they attended The Significant Marriage seminar in Massachusetts. Finding the material to be an incredible tool in helping them discover who they are as both individuals and as a couple, Joshua and Kylee sought out founders Dave & Mary Gothi as to how they might get involved. The Robinson’s hope to soon be TSM’s Rhode Island contact and instructors in order to share TSM’s message with as many couples as possible. Kathy and Glen have 8 children between them, aged 17-30 —3 girls and 5 boys. Kathy's son, 17, lives at home, and they are expecting a grandchild in May 2015! Kathy is a physiotherapist, and Glen a mobile phone technology engineer. Before meeting Glen, Kathy—in hopes of saving her first marriage--met Dave and Mary at A New Beginning seminar they were leading in LA. The Gothis kept in touch and encouraged Kathy even though her first marriage ended. In 2006, Kathy and Glen met at a Christian support meeting for separated and divorced couples. Recognizing immediately they were like-minded souls, they fell in love at first sight and married in 2007. They spent much time emailing and Skyping with the Gothis, and Glen finally had the opportunity to meet them last August. The Griggs hosted the first Aussie TSM late 2014 and its success paved the way for another one in February 2015! The encouragement and enlightenment TSM has brought to their lives as they make a ‘plan’ for a successful and meaningful marriage made it impossible for the Griggs not to share TSM with their church and the people of Australia. Lucas and Stefanie met in Berlin in 2007 and married in 2012. Lucas is Brazilian and German, and Stefanie is French and German. They attend the International Baptist Church in Berlin, where they are currently involved in music ministry. They also both share the love of composing songs. In addition to serving as the worship leader, Lucas is also a professional Cellist. Lucas and Stefanie have a heart for service and seek to share Christ's love with others and have, thus, been serving as volunteer leaders at Young Life in Berlin for 7 years. They first got in touch with TSM in March of 2015 and are excited to embark on this new journey of sharing TSM with couples in Berlin. Ronan and Michele are both Brazilian living in Berlin. Ronan is a trumpet player and Michele a missionary with Cru. We are passionate about seeing people grow in their faith in Jesus! We took part at TSM at our church and quickly decided to be part of it as it fits our dream to see people grow in their walk in Jesus and in their marriage! Gregory (Greg) and Michelle Perkins currently serve as the directors of S.H.A.P.E. International Christian Center, located near Mons, Belgium. Their sponsoring organization, Freedom Outreach International, is a Ministry to the Military that serves and ministers to members of all branches of the uniformed military services and their families. In addition, the organization regularly serves military veterans, expatriates, host country nationals and their families through a variety of both traditional and innovative methods. Services are currently delivered at diverse locations in 17 different countries and the USA. Being full time missionaries, and needing to provide for their own financial and logistical support, both Greg and Michelle work on S.H.A.P.E. as part of the Student Meal Program, which allows them the opportunity to literally serve the children and students of the nations! Among the many things that Greg and Michelle take the greatest pride in, are their four adult children, two sons-in-love, and their very handsome and spirited grandsons, Caleb and Max! Having served and functioned in a number of different roles and capacities, which include the Marine Corps and Navy respectively, as well as leadership roles in their faith communities, Greg and Michelle bring a broad range of experiences to the table. However, marriage enrichment ranks among their top five list, thus their involvement in, and with TSM. They were first introduced to TSM by attending a seminar, in of all places, Paris, France! Who could resist an opportunity and occasion like this!?! After experiencing TSM firsthand, Greg and Michelle were thoroughly convinced that it was an invaluable tool and resource that they could not only fully endorse, but also partner with Dave and Mary to impact the marriages of our men and women in Uniform, who continuously, and bravely defend our nation and its freedoms, and do so at great sacrifice, too include their marriages. Ieva has known Mary for since 1993. Mary mentored her while she was in high school and ever since then they have kept in contact despite time and distance separating them. Mary and Dave opened their home in the LA area to Ieva in the fall of 2002, while she was going through a difficult time in her life. Ieva and Varis met in the summer of 2005, while Ieva was visiting her home country Latvia and serving on the Via de Cristo weekend, a spiritual renewal weekend for the Lutheran church. They were married in June of 2006 and have made Latvia their home. They have 3 children – Karlina, Jekabs and Izabella. Varis and Ieva are active members of the St. Gertrude’s Lutheran congregation in Riga, where they lead a couples’ ministry. Previously they were on the leadership team of an ecumenical couples’ ministry called Cana International. 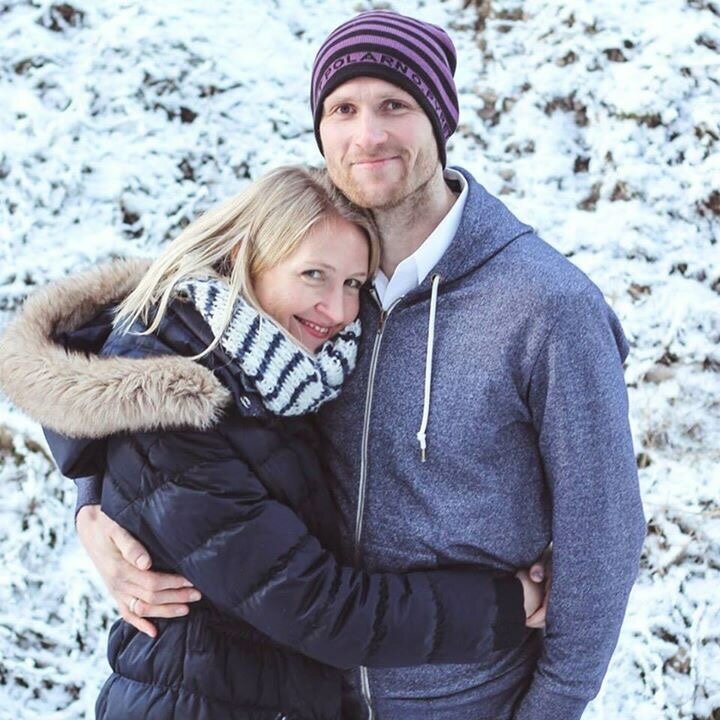 Varis is a self-employed physical therapist and Ieva is a therapist, currently working for a personality development company in Riga, while going for her Masters in Clinical Psychology. While keeping busy with taking care of their 3 young children and their jobs, they are committed to marriage ministry. They have a passion for couples to build a strong foundation for their marriage and find a new purpose in building God’s Kingdom together as a couple. After Ieva experienced The Significant Marriage weekend in Frankfurt in January of 2014, she came back to Latvia, inspired to see TSM brought to her home country. The 1st TSM weekend in Latvia will take place in October of 2015! Varis and Ieva are excited to be a part of making this weekend happen and see TSM grow in Latvia! Bob and Joy have been married since 2001 and are currently serving as missionaries in St. Croix, US Virgin Islands, with their 2 children. They love island living, although it does come with many challenges especially as the island is in need of God’s love. Marriage ministry is one of their main focuses as they seek to impact marriages and families in St. Croix and throughout the Caribbean. The Boyans conduct TSM seminars, develop marriage ministry within churches, lead small groups and mentor couples. The founders of TSM have been their marriage mentors, close friends, as well as family - Mary Gothi is Joy’s aunt and Dave her uncle by marriage! Bob and Joy are excited to continue the legacy of enriching and protecting marriages. Chris and Sarah met in Virginia Beach, VA, where Chris was teaching as an instructor for the Army School of Music and Sarah was working as a media director/writer for an international relief charity. Chris has been serving as a musician (drummer/percussionist) with the U.S. Army for more than 20 years, and after marrying in April 2014, the couple moved to Europe for a three-year assignment in Belgium. They met Dave and Mary Gothi at a TSM seminar in Paris and were so impacted by the weekend that two weeks later, they attended a second seminar in Frankfurt to be trained as coaches. Through their combined life experiences as well as a passion for bringing healing to those who are broken, they are thrilled to be a part of the TSM team and help equip other couples with the tools and knowledge to build strong marriages and find their purpose and calling. Chris and Sarah are currently stationed in Georgia with their two children, Madeleine and Josiah, and their beloved Pit Bull, Duke. Tom and Marcee are originally from the Northern Virginia/DC Metro area, where they met in high school and married in 1976. Throughout their 40 plus years of marriage they have experienced first-hand the challenges of marriage and know it takes commitment to build a strong healthy marriage. Tom and Marcee have been active in marriage ministry for nearly 20 years. Through their involvement with Marriage Dynamics Institute they met and fell in love with Mary and Dave when they came to the DC area to facilitate “A New Beginning” weekend seminars for couples in crisis. They are thrilled to be working with Mary and Dave again as part of the TSM team. Tom and Marcee love sharing tools, resources and relationship skills that will inspire couples to live, love and lead with greater intention. Marcee is a certified life and leadership coach. Tom is a retired Marine and management consultant. They are life-long learners and love TSM because it helps couples discover their purpose, create a vision for their marriage and address the gaps of where they are and where they want to be, individually and as a couple. Tom and Marcee live in eastern North Carolina. They enjoy the outdoors, the wonders of nature and especially delight in spending time with their grown children and grandchildren. ​Robert and Kara are an active duty military family. Robert and Kara connected immediately, and were married in 2012 after meeting and dating for less than a year. Kara was in College, and Robert just finished his first deployment. They both come from divorced families and have recognized the need for preventative measures and a plan for marital trials. As a couple, they have endured multiple moves for the military, medical issues, living in foreign countries, and long periods of time away from one another. Due to their research nature, they sought out marriage seminars that were offered. They came upon TSM at their church in Germany, and instantly saw the impact it was having on their marriage compared to any other marriage seminar they had been to. The focus on preventative measures and God's purpose drew them to want to spread the knowledge of TSM to other couples, especially military families. ​They have a daughter, son, and a dog child. They love to travel, try new food and explore the outdoors. Kara is finalizing her Master's in Clinical Psychology, and Robert is currently pursuing a Master's in Divinity. They are currently stationed in Alaska.